Peking Man excavations, China, 1920s. 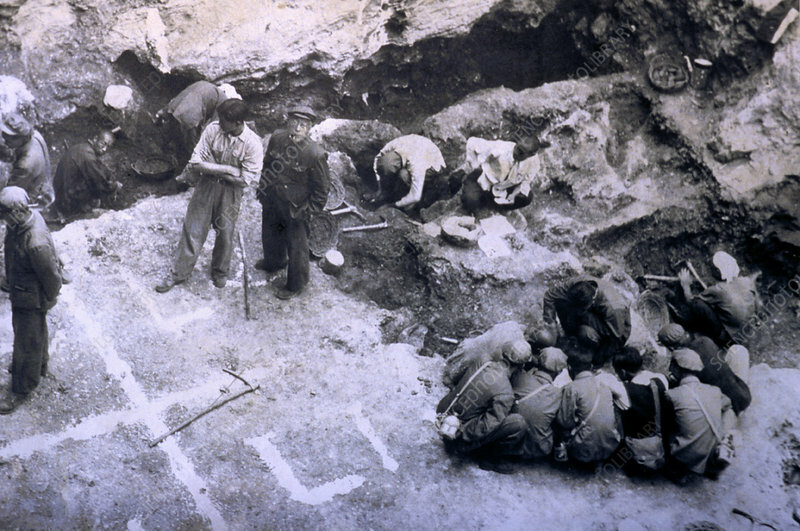 Archaeologists and workers excavating at the discovery place of the skull of the fossil known as 'Peking Man'. This specimen of Homo erectus pekinensis was found at the Zhoukoudian caves in northern China, near Beijing (Peking). The fossils date from between 700,000 and 530,000 years ago. The main fossil discoveries took place between 1923 and 1927. Photographed in the 1920s.